After more than 50 years of adapting fairy tales, you would be forgiven for thinking Disney had exhausted the subject or at least, lost their touch a little. But as they deliver a magical rendition of the Snow Queen, hot on the heels of the excellent Tangled, this could not be further from the truth. In Frozen, Queen Elsa of Arendelle (Idina Menzel) flees her kingdom after accidentally plunging it into an eternal winter. By the time her sister Anna (Kristen Bell) sets out to find her and bring her back to restore summer, Elsa has turned her back on her people and shut herself away in a fortress of ice. The story is a very loose adaptation of the tale that gives more space to family, friendships and the themes of independence and the pressure of expectations. Of course there are villains, but they are mostly opportunistic and the real threat comes from within, making Elsa more complex and conflicted than the characters we are used to. If there is a central character, it is the relationship between the two sisters and their initial misunderstanding of each other. It’s not Disney without funny sidekicks though, and Frozen doesn’t disappoint as Anna is joined in her quest by Kristoff (Jonathan Groff), his reindeer Sven, and a talking snowman named Olaf who makes for great comic relief. The soundtrack is classic Disney, and I mean classic. Early 90’s Disney classic. The songs are catchy and the score perfectly captures the winter and snow as The Little Mermaid’s did the underwater world. My co-workers probably would tell you they hate it, fed up that they are by my constant humming and whistling. Idina Menzel finally voices a fully-fledged princess after her speaking-only cameo in Enchanted, and it was worth the wait. 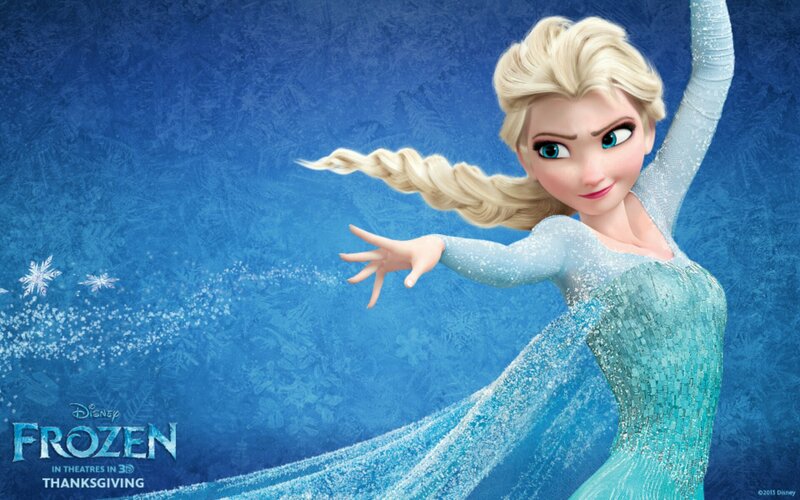 She gives a flawless performance of Let it go, the theme song of the film. Kristen Bell does some admirable voice acting as Anna, too. I enjoyed the awkwardness and was actually taken aback by her singing. If you weren’t a die-hard Veronica Mars fan, you may not have known that she started out on Broadway but after seeing this you wouldn’t doubt it. Visually speaking, the 3D is top of the range from the first scene and makes the most of its material: between spires of ice and flurries of snow, the animators are having a lot of fun and the audience will too. Frozen follows the new trend of using a neutral title so as to not scare boys away from checking it out. Disney, please get over Princess and the Frog and name your films after their awesome female protagonists. They deserve it. More than just a similar title, Frozen cannot escape the comparison with its predecessor Tangled: Anna is also a naive, sheltered princess and looks more like Rapunzel than her own sister, and the guys’ voices had me wondering if Zachary Levi had landed a permanent contract. But the similarities end there. Tangled is a bit more tongue-in-cheek and maybe funnier to an older audience while Frozen is unabashedly candid and sentimental. It might make you roll your eyes in places when it gets a little too corny unless you can leave behind your sarcasm and the years that passed since you were six, and let it spellbind you. It’s magical, it’s wintry, it’s funny – and yes, you will melt. 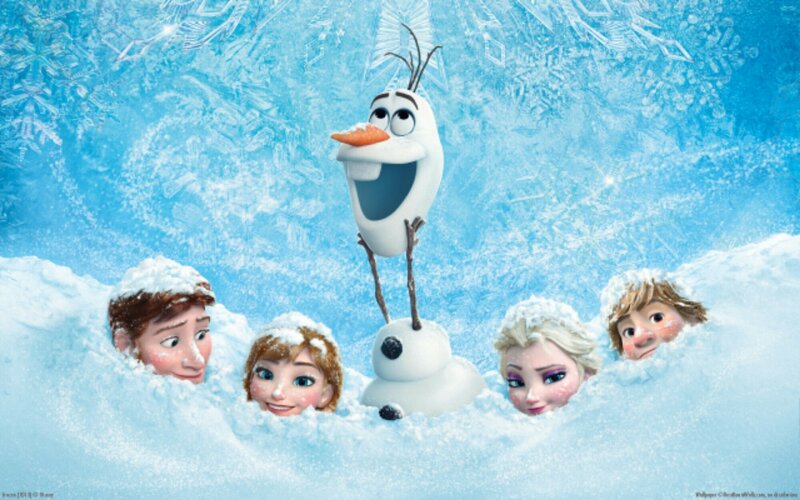 Frozen is released in UK cinemas on 6 December.